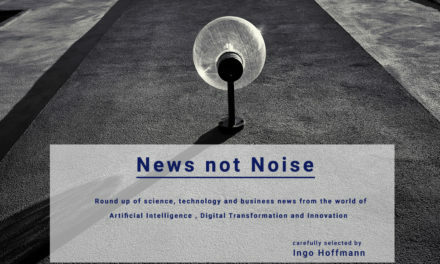 There is a big debate going on whether artificial intelligence and automation will turn out to be a good thing or a bad thing for the future of work – and in fact for society. You can read about jobs being destroyed while others see the liberation of workers from mindless tasks. It is often not clear what impact AI will have and what is pur automation (which has been a fact of live for many decades). 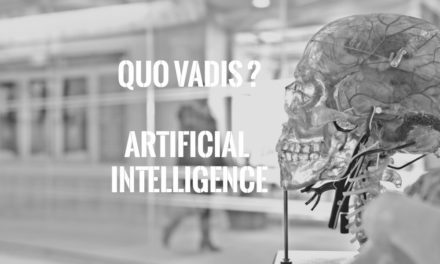 But it is clear that the combination of artificial intelligence with advances in robotic and intelligent machines will change the way we work. And it will have an impact on almost all of us. The question is how we can use AI to help us constantly get better at our jobs and learning necessary new skills. Unfortunately, most warnings of job losses confuse AI with automation — that overshadows the greatest AI benefit — AI augmentation — a combination of human and artificial intelligence, where both complement each other. Providing job retraining and enabling individuals to learn marketable new skills throughout their lifetime will be a critical challenge. Gartner says by 2020, Artificial Intelligence will create more jobs than it eliminates. 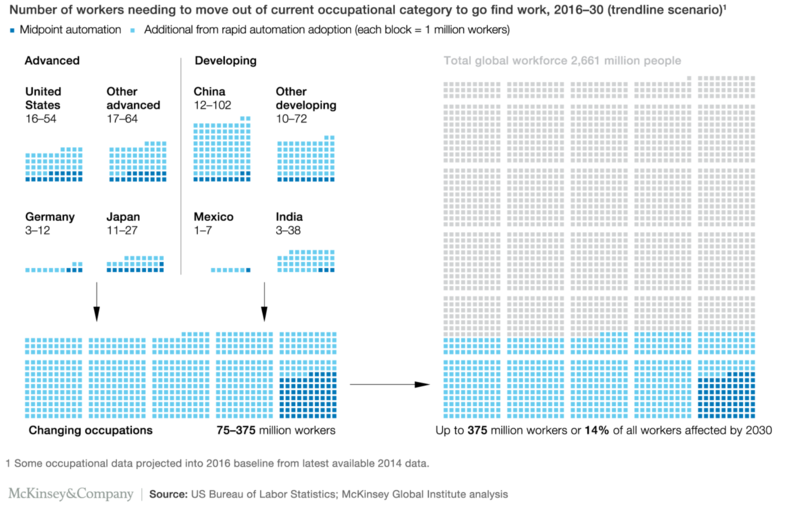 Starting in 2020, AI-related job creation will cross into positive territory, reaching two million net-new jobs in 2025. 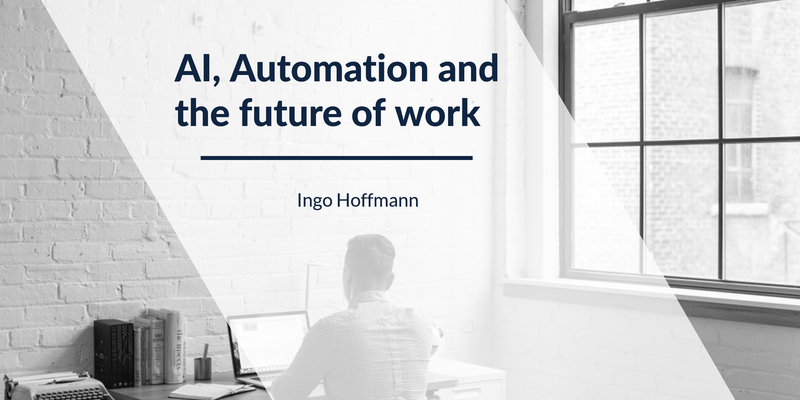 By 2022, one in five workers engaged in mostly nonroutine tasks will rely on AI to do a job. McKinsey is looking at cars that drive themselves, machines that read X-rays, and algorithms that respond to customer-service inquiries as manifestations of powerful new forms of automation. They previously found that about half the activities people are paid to do globally could theoretically be automated using currently demonstrated technologies. 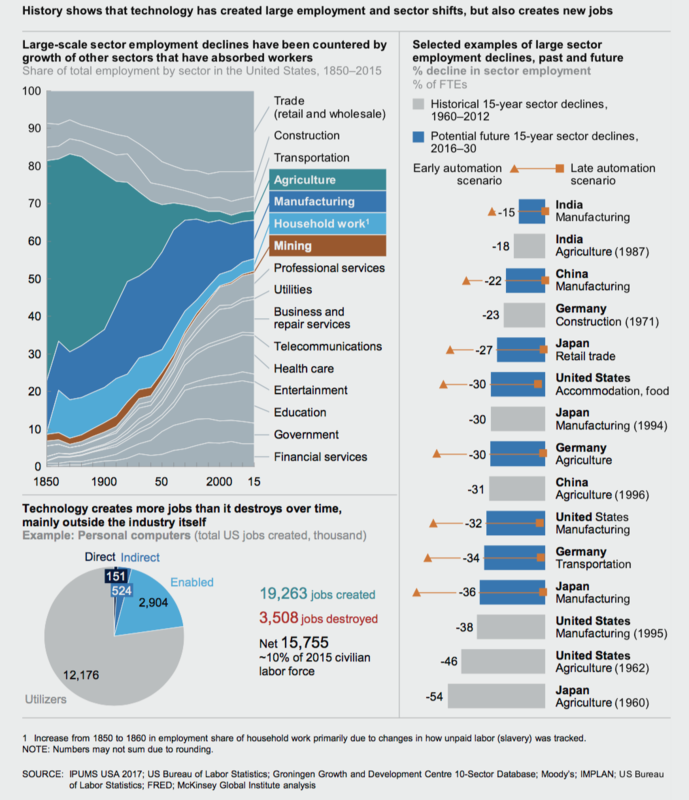 Very few occupations—less than 5 percent—consist of activities that can be fully automated. However, in about 60 percent of occupations, at least one-third of the constituent activities could be automated, implying substantial workplace transformations and changes for all workers. Providing job retraining and enabling individuals to learn marketable new skills throughout their lifetime will be a critical challenge—and for some countries, the central challenge. My first rule is: Always think like an immigrant, because we’re all new immigrants to the age of accelerations. Fourth, always remember that PQ (passion quotient) plus CQ (curiosity quotient) is greater than IQ (intelligence quotient). And last, whatever you do, whether you’re in the public sector or the private sector, whether you’re on the front lines or a manager, always think entrepreneurially.